Two Palestinians were shot dead near Ramallah on Friday after separate alleged attacks targeting Israeli military forces in the occupied West Bank, Israel’s army and Palestinian officials said. 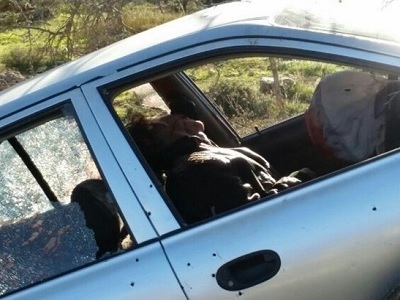 A Palestinian was shot and killed near the illegal Ofra settlement north of Ramallah after ramming his car into a group of Israeli soldiers, according to the Israeli army. The army confirmed that two soldiers were injured in the incident. Israeli emergency service Magen David Adom said that paramedics treated two Israelis around 20 years of age who sustained minor injuries. 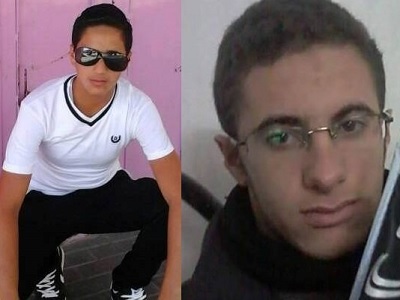 The Palestinian Ministry of Health identified the Palestinian as Anas Bassam Hammad. An hour earlier, a Palestinian man was shot and killed after reportedly stabbing an Israeli soldier near the Ramallah-area village of Abud, Palestinian officials said. The Palestinian Authority Ministry of Health identified the man as Abed al-Rahman al-Barghouthi, 27. The ministry told Ma’an he died from gunshot wounds to the neck and arm after being shot by Israeli military forces near the Abud, which is located adjacent to the illegal Israeli settlement of Halamish. Witnesses told Ma’an following the attack that al-Barghouthi was a US citizen who had recently arrived back from the US to get married, after getting engaged five months previously. Al-Barghouthi was reportedly walking home from his fiance’s house at the time that he was shot, according to witnesses who said that a car dropped him off near his village, where clashes were taking place at the time.